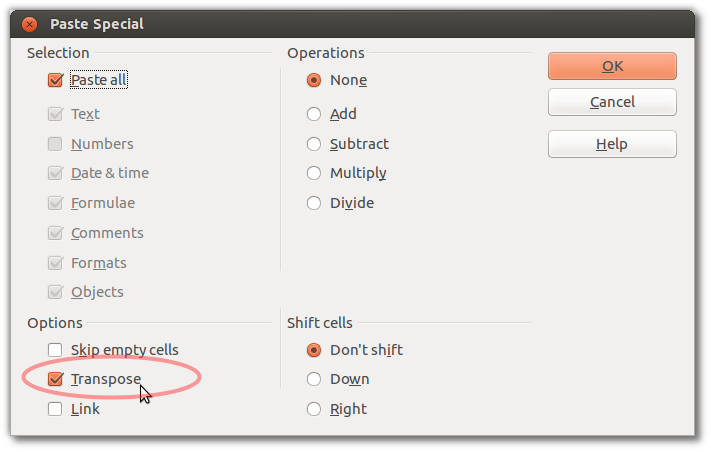 Select the area of data you want to "convert", e.g., click top-left cell, then shift-click bottom right cell. You should how have copied all the rows of data that you want to convert into columns of data. Go to a new worksheet, click the cell where you want to paste your new columns. Ensure that the Transpose option is selected, then click OK. Done! The same process works in either direction (cols-to-rows, rows-to-cols). I couldn't find this on AskLibo, and have followed these Excel instructions. Credit: I couldn't find this on AskLibo, and have followed these Excel instructions.